The engineers at Rancho have designed a NEW 4-in. 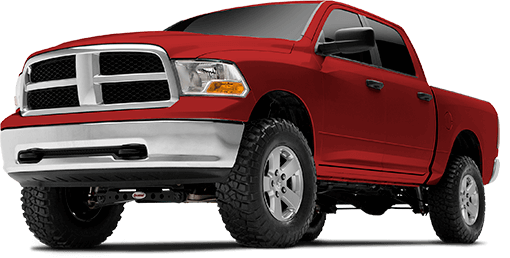 Suspension System for 2017-2013 RAM 1500 4WD Gas and Eco-Diesel models. The system includes Rancho’s fully boxed welded subframe for superior strength and ductile Iron extended steering knuckles. 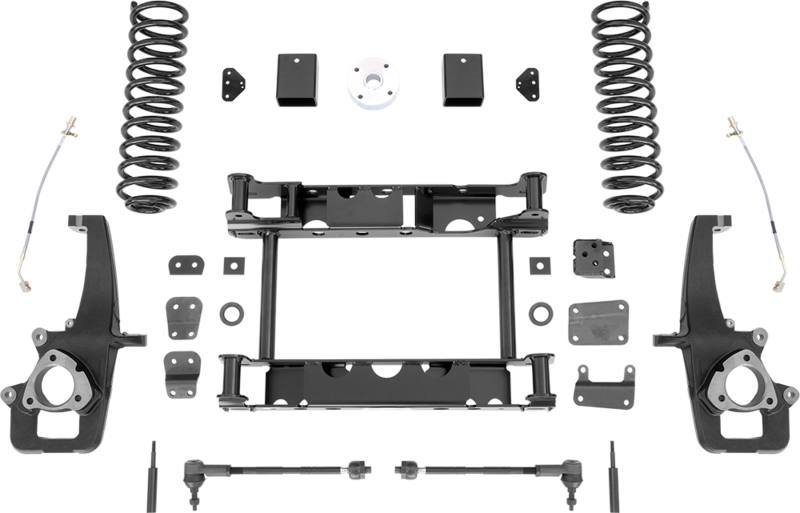 The performance Suspension kit also contains a pair of inner and outer tie-rods, brake lines, sway bar extensions and all necessary hardware. 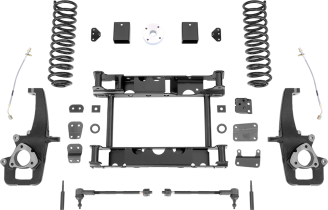 For the rear, the Rancho kit includes a pair of extended length coil springs and required installation hardware. For a complete installation, a separate set of RS5000™X extended travel front shocks and set of RS5000™X rear shocks need to be purchased. The Rancho brand offers a Limited Lifetime Warranty** for this Suspension System.